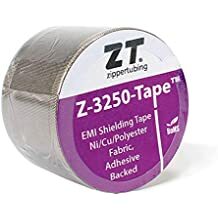 Zip Wrap Alp 500 - Thermal Management Sleeving And Jackets - Thermal Management - Products - ZT | Zippertubing Co.
0.5" 0.625" 0.75" 0.875" 1.0" 1.125" 1.25" 1.375" 1.5" 1.625" 1.75" 1.875" 2.0" 2.125" 2.25" 2.375" 2.5" 2.625" 2.75" 2.875" 3.0" 3.125" 3.25" 3.375" 3.5" 3.625" 3.75" 3.875" 4.0" 5.0" 6.0"
Zip-Wrap® (ALP-500) is a complete 360° wire, cable, hose or pipe management system. This product not only provides excellent heat-reflective protection, but outstanding abrasion protection as well. The ALP-500 jacketing material is a medium-weight, Polyurethane-coated fiberglass fabric with a heat-reflective aluminum foil surface on outer side. This product is intended for continuous high-temperature applications up to 350°F (176°C) and below freezing temperatures down to -58°F (-50°C). 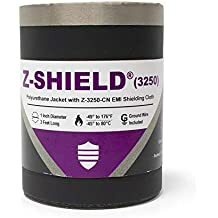 Because of its overlap flap, this product is great for those who are looking for a heat-wrap system that will withstand the heat, insure the wrap doesn&apos;t open unnecessarily at any time, and provides outstanding abrasion protection. The Zip-Wrap® (ALP-500) is ideal for anyone who wishes to re-open the product at a later date without the need for any special tools. Looking for a product that can withstand the heat? Look no further, the Zip-Wrap® (ALP-500) is the perfect choice for your specific application. This self-extinguishing, heat-reflective, zipper and hook-and-loop closure product is available in many different diameters and lengths. Zip-Wrap® (ALP-500) is a fully customizable heat-reflective cable management system that is perfect the Automotive industry. Cable Diameter 0.5" 0.625" 0.75" 0.875" 1.0" 1.125" 1.25" 1.375" 1.5" 1.625" 1.75" 1.875" 2.0" 2.125" 2.25" 2.375" 2.5" 2.625" 2.75" 2.875" 3.0" 3.125" 3.25" 3.375" 3.5" 3.625" 3.75" 3.875" 4.0" 5.0" 6.0"
ALP-500 is a medium-weight, Polyurethane-coated fiberglass fabric with a heat-reflective aluminum foil surface on one side intended for high-temperature heat barrier applications. This flexible product is available in a variety of sizes, shapes, constructions and closure options. ALP-500 is the ideal choice for high-temperature protection of electrical cable, hoses or pipes where cost and size are critical factors. The material provides a thermal effectiveness value of 650°C for short bursts when tested to SAE J2302 requirements. The product has an operational temperature range of -50° to 180°C.